We went to the sky this past week! 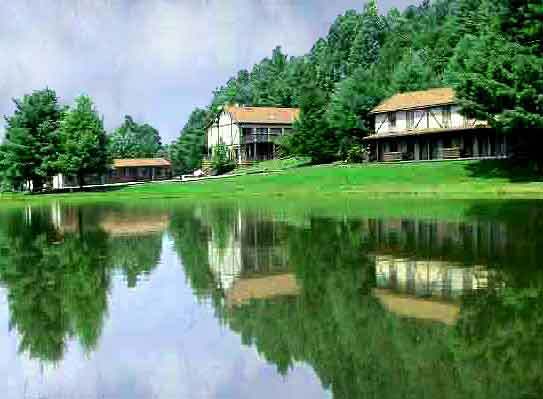 Well, it felt like it, but in reality, we were in the mountains of Virginia, in the beautiful Meadows of Dan! 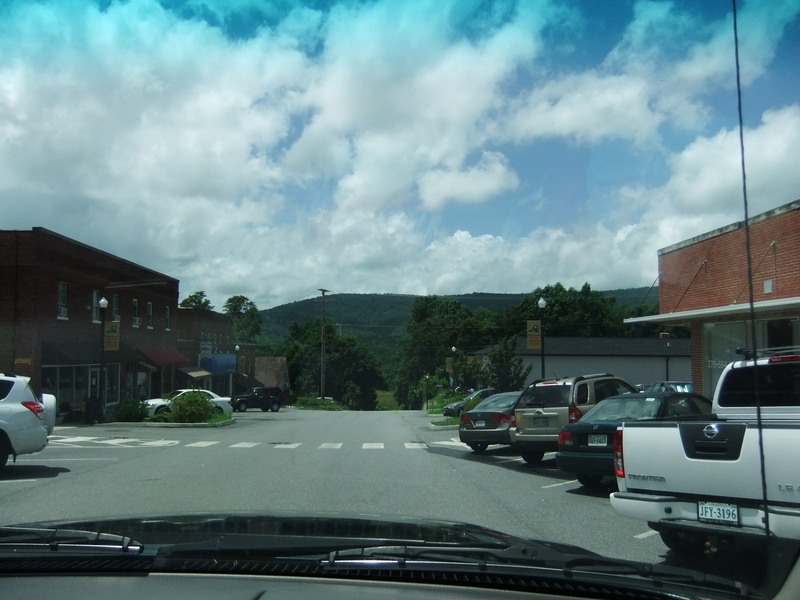 The Meadows of Dan is a small town just off the Blue Ridge Parkway, in southwest Virginia, but as a region it is much bigger. I have a lot to tell about this trip and the incredible people we met, but I want to show you a few pictures of the area first. This is lover’s leap. The legend says that a young white man fell in love with an Indian maid, but they were given so much grief about their relationship, shunned and shamed, that they supposedly held hands and leapt to their deaths to be together in eternity! How sad! How poignant! How romantic, and what a sad commentary on our society now and then! 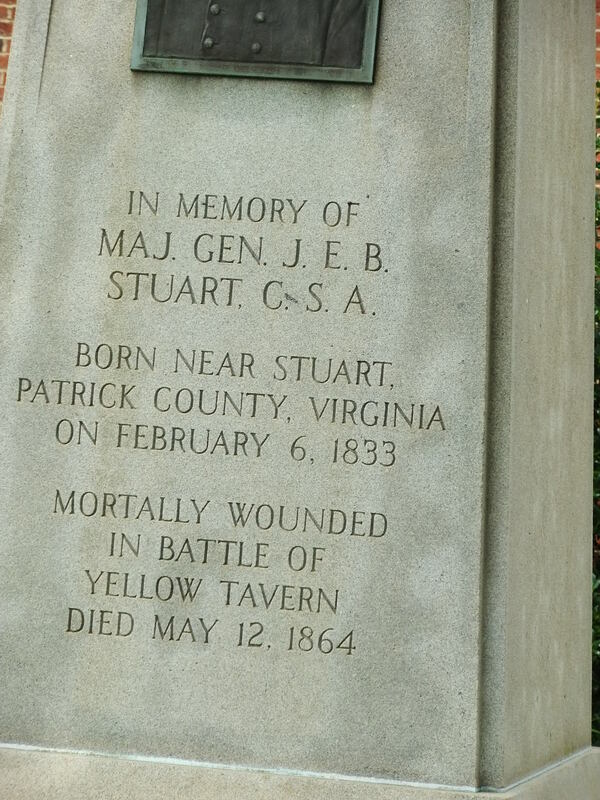 Looking at this view you are standing on the JEB Stuart Highway in Patrick County, Va. , in the Meadows of Dan, but this valley that you are seeing is an area of Patrick County called Woolwine, at least this is what one of my cousins told me! 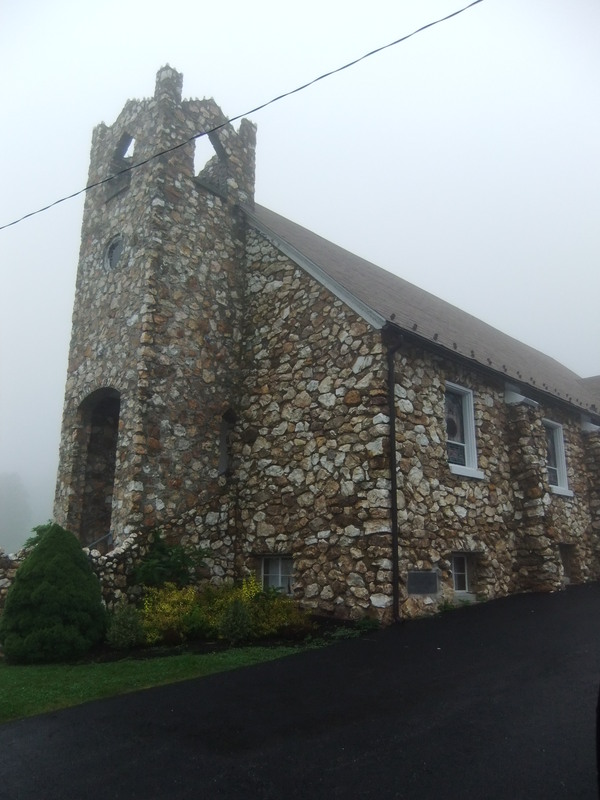 This area of the Blue Ridge Mountains is known for its beautiful stone churches. We went to visit one of them, and gracious, look at this beauty! This is Slate Presbyterian Church. I can just imagine that you would feel closer to God worshiping in this church on top of the mountain! 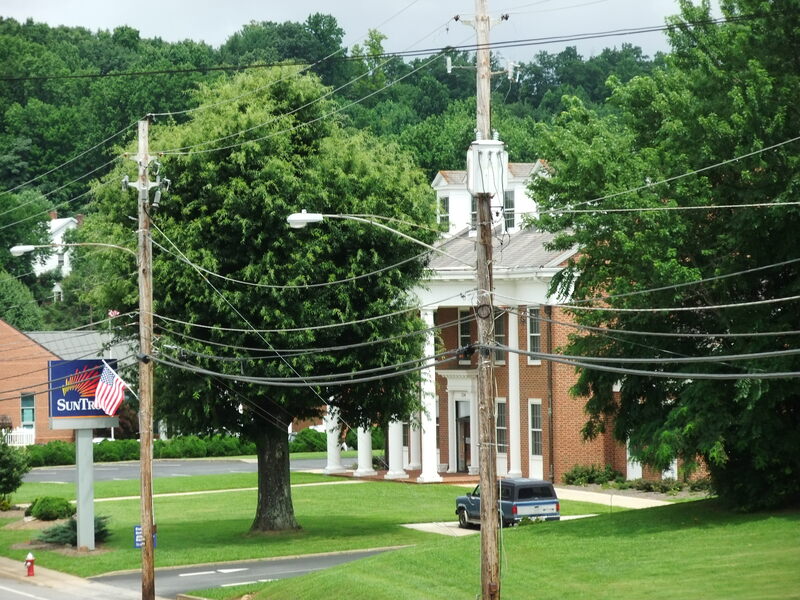 Just a bit down the mountain from this church, was the lovely and gracious Woodberry Inn where we stayed. 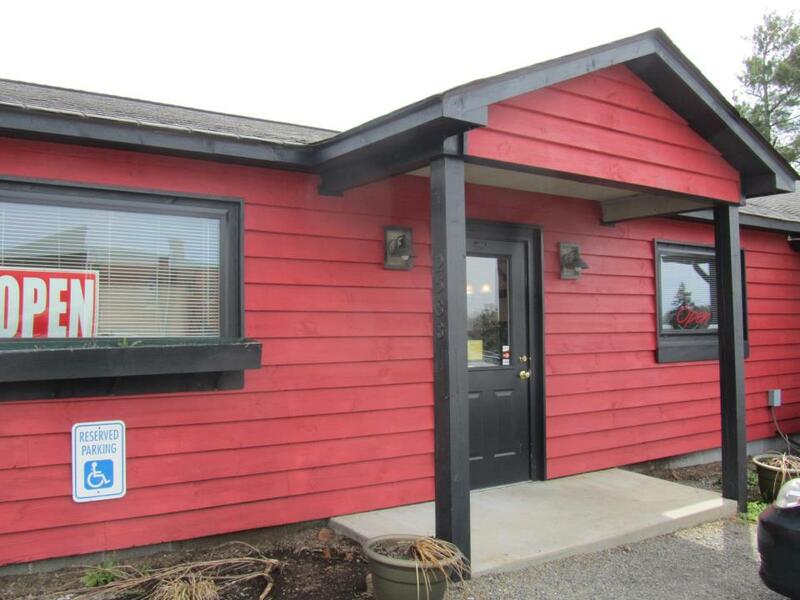 The owners of the Woodberry were so very friendly to us, helpful in every possible way! We felt like we were among friends with them and with their restaurant owner. Good friends, good food, great hospitality! Everywhere we went, we saw beautiful views and met friendly people! We were very happy to be there, where our ancestors had lived for over 100 years, and where we still have many cousins! 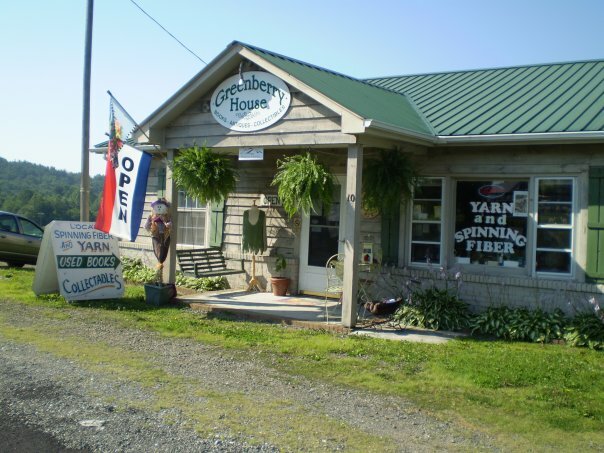 Greenberry House above, where owner Leslie Shelor spins her own yarn was a wonderful place to visit! You can find her on facebook! She sells yarn, collectibles, books, and other things. Below is a picture of the first shop where we stopped, on our way up the mountain, just a half mile past Lover’s Leap! Joyce and Ronnie Green are the friendliest proprietors, and take good care of their handicapped customers, important to me with my wheelchair. 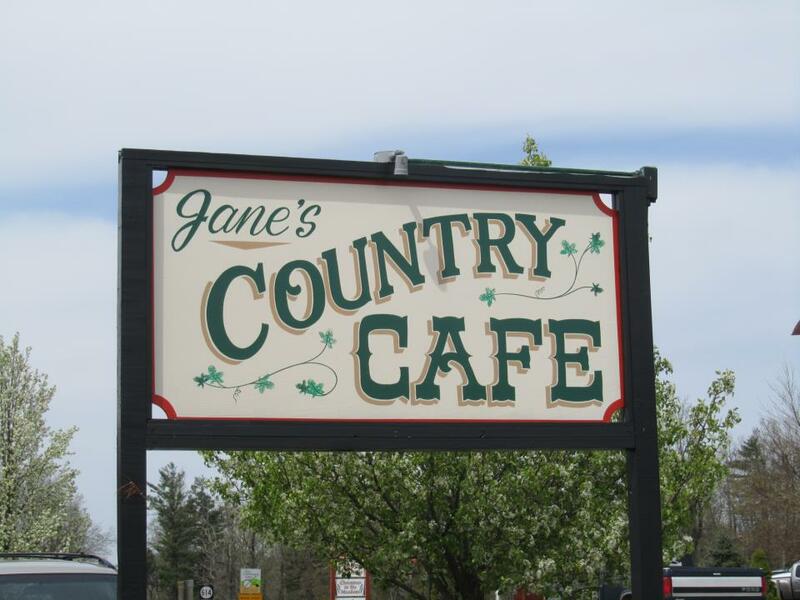 One morning we had brunch at Jane’s Country Café in Meadows of Dan. That was a blessing to us! Besides good food, and great service, we felt like we made new friends who gave us directions and information about the area. Besides that, they were able and willing to cater what we needed for the family reunion we were planning to attend. They fixed up a big bowl of banana pudding and another of baked apples for us to take with us, The food got rave reviews at the reunion also! 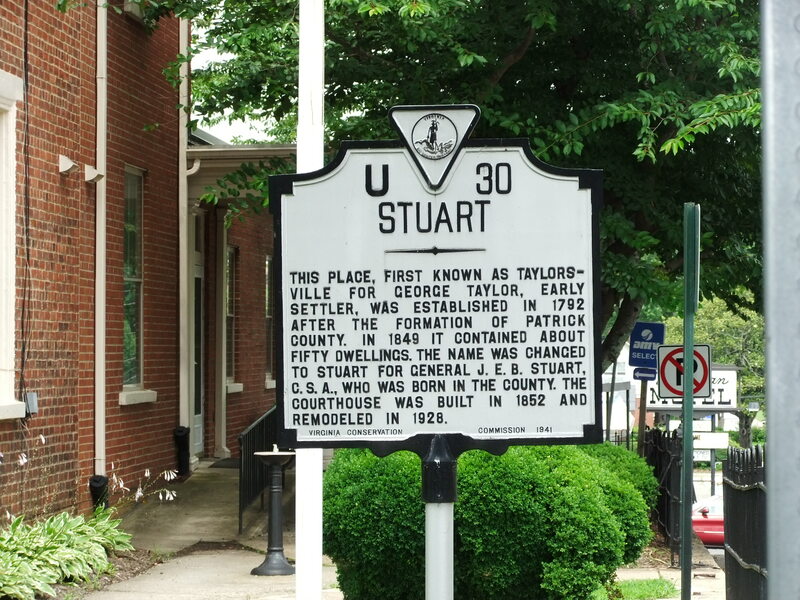 We also wanted to spend time in the nearby town of Stuart, because again, we’d had ancestors live there, and because we wanted to do some research at the Historical and Genealogical Museum and at the Patrick County Courthouse. We found helpful people everywhere we went, at the courthouse and the museum where the records are well organized and easily accessible. Driving through downtown Stuart you see how close the mountains are! Only 20 minutes up the mountain to the Meadows of Dan and the Blue Ridge Parkway! 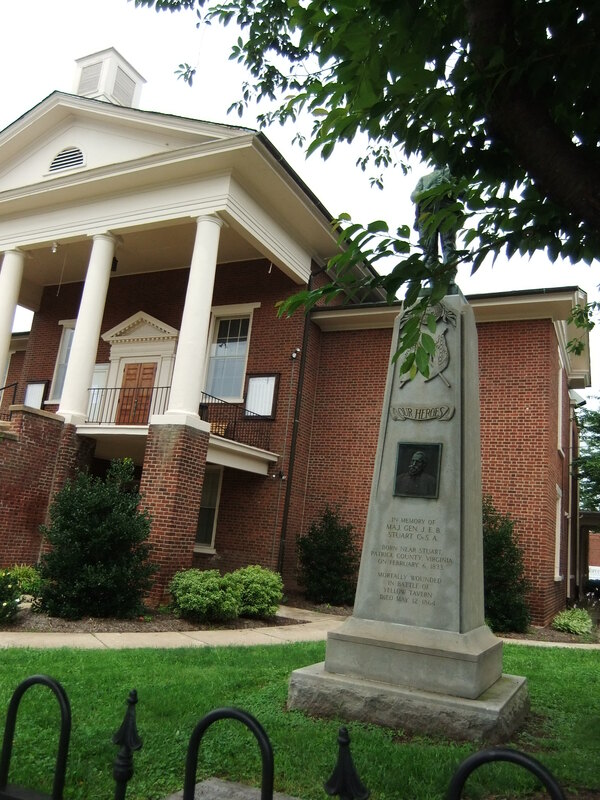 Below is the stately Patrick County Courthouse where we went seeking records of long ago relatives. 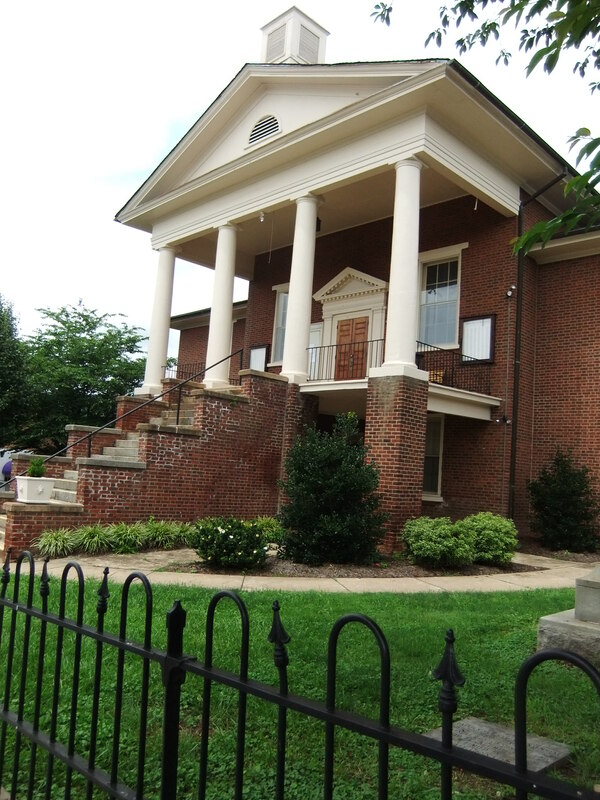 The building pictured below houses the Patrick County Historical Museum, the Genealogical Museum, and the Public Library. The Historical Museum is full of incredible exhibits, if you have never been there, it is worth the trip! 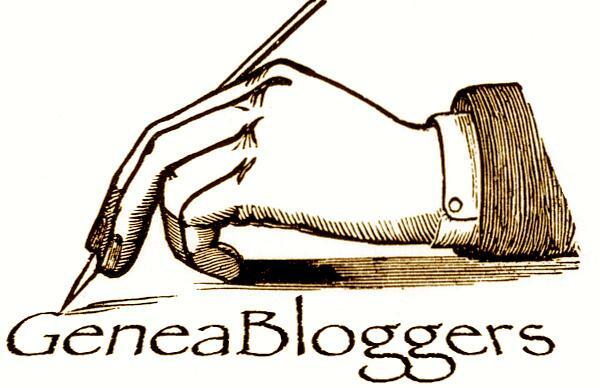 One of their many volunteers, Mr. David Sheley, wrote a column in the local newspaper, The Enterprise, about my search for genealogical records, and that connected me with many cousins I didn’t even know I had, bringing outstanding joy and friendship to my life. From working on the family tree, to traveling and meeting your kinfolks, can life get any better than this?! Next Post: the reunion, the nicest people and the prettiest Southern homestead you could ever want to see! Categories: Community and Family Life, Events, Festivals, and Fairs!, Genealogy, Houchins family posts, Langhorne Family posts, Spangler Family posts | Tags: Blue Ridge Parkway, Meadowsof Dan, Stuart, Virginia | Permalink. You certainly had an eventful visit! I’m glad you met so many of our wonderful people in Meadows of Dan! The pictures are great, makes me want to visit the area. Wish I had ancestors there. Thanks , it really is nice. I had been in the area once as a very young child of 8 or so, I am in my sixties now, so it was all new to me! Please come again. I love this article you wrote. 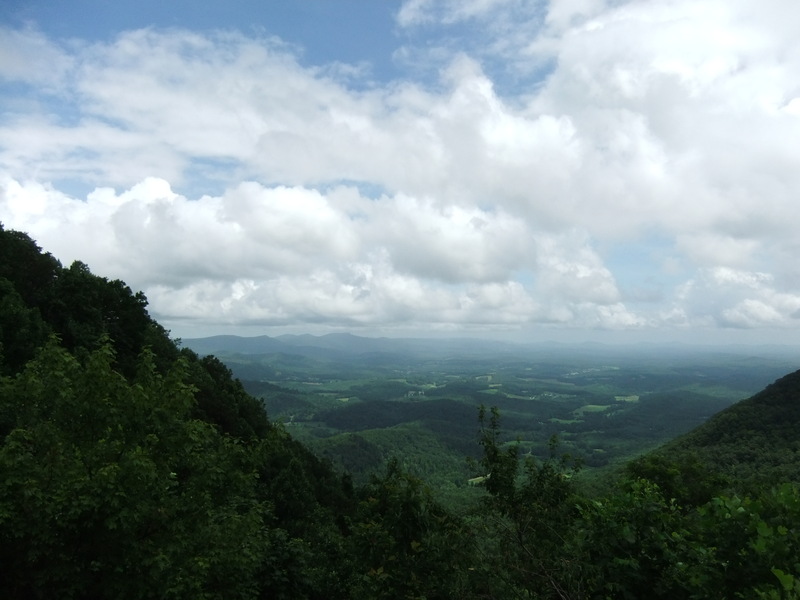 I feel so blessed and honored to be one of the many places you stopped and enjoyed in the beautiful Blue Ridge Mountains of Southwest Virginia. 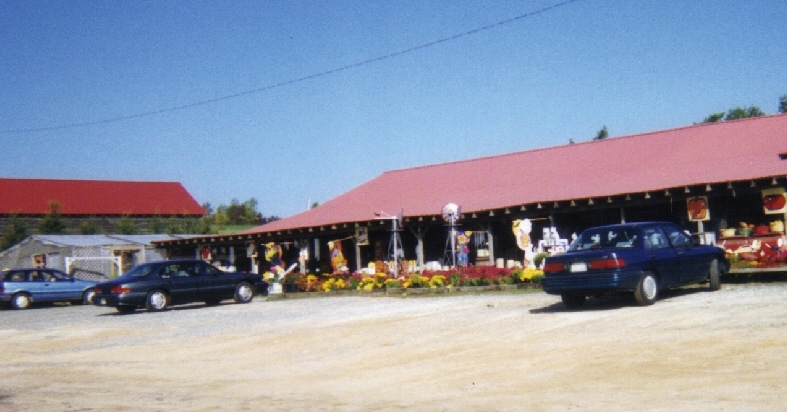 I look forward to meeting you the next time you stop by our country store. Blessings to you! Thank you for stopping by and leaving a comment Joyce! I love your storeand all the beautiful flowers especially! I really appreciate your and your husband’s support of handicapped people by building a ramp! I am looking forward to meeting you also! Thanks for the comment Lena. It is beautiful up there for sure! I can hardly wait to go back! We had breakfast at Mabry’s Mill one morning and it was great! We shopped in their giftstore for gifts for our grandchildren, and you are so right about the serenity! I’m going to write about Mabry’s Mill soon. We did not get to go to the Morressiet winery, but I’d like to when we go back! They make some wine called “Cupcake” wine! My adult daughter loves to bake cupcakes, so I thought I’d get some for her!